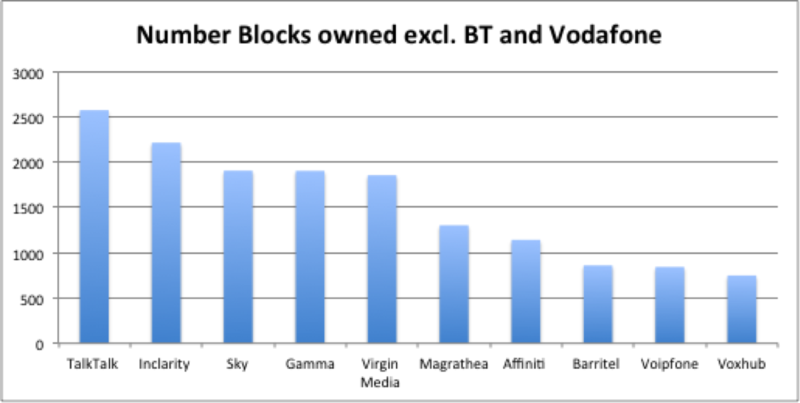 By using Ofcom’s figures on the ownership of number blocks, it is interesting to see the breakdown of the number that each person owns, and the number of companies that actually own numbers. In the UK, there are 324 companies, each with various number blocks. 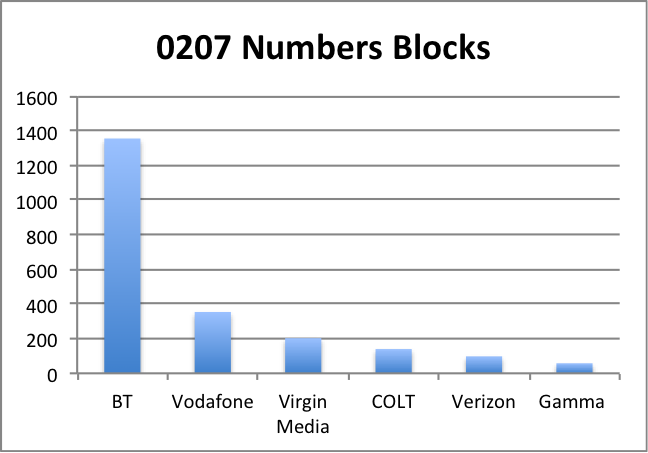 BT has by far the most with over 14,800 specific number blocks with Vodafone second with 8,975 blocks. What is a concern to providers is the lack of London numbers that are still available. Number blocks starting with 0207 have all been allocated to providers and only 133 number blocks are available which start with 0208. For many companies looking to get a classic London number (not 0203), some providers are not able to offer a 0207 or 0208 without porting them from a different provider which can prove to be tricky if the right porting agreements are not in place. What illume find interesting about these numbers is how fragmented the UK Voice market with over 300 range holders and the issue of scarcity in key number ranges, especially in London. We are also delighted to announce that three of the market leaders in the VoIP industry – Broadsoft, Genband and Yealink will be sponsoring the European VoIP Summit 2015 and an impressive line up of speakers from around Europe have been confirmed. We have representation from 6 European countries already and speakers from companies such as Blueface (Ireland), BT, Broadsoft, Gamma, Genband, Gradwell, IPCortex, NConnect, NFON (Germany), RingCentral, Siphon Networks, TalkTalk and Voxhub with the list of speakers growing daily.